Every four years, Washington and Lee students simulate a presidential nominating convention to predict the nominee for whichever party is not in the White House. 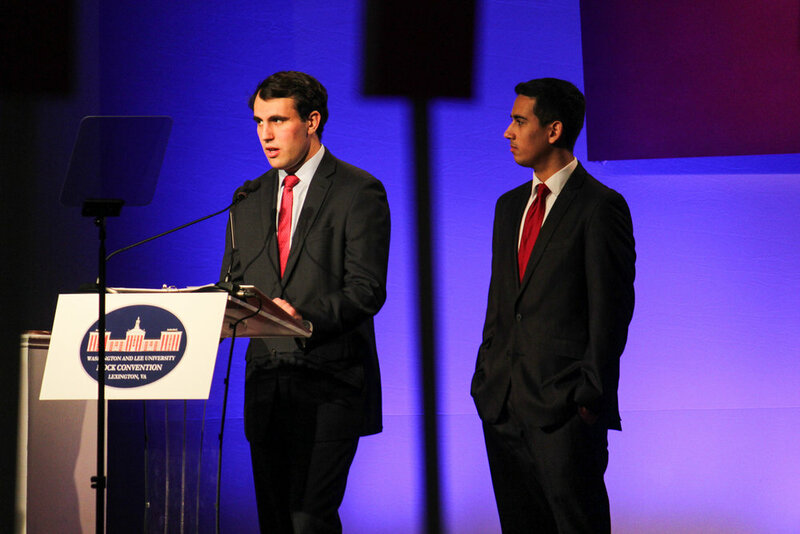 W&L students have correctly predicted the nominee 20 out of 26 times since the first mock convention in 1908. The weekend begins with a parade of states down Main Street. Throughout four sessions, invited speakers adress various aspects of the political and voting process. The event finishes with each state casting their electoral votes for the nomination. In 2016, the convention correctly predicted Donald Trump as the Republican nominee.